Join us at India Quay for a wonderful foot tapping evening of fantastic music and food. 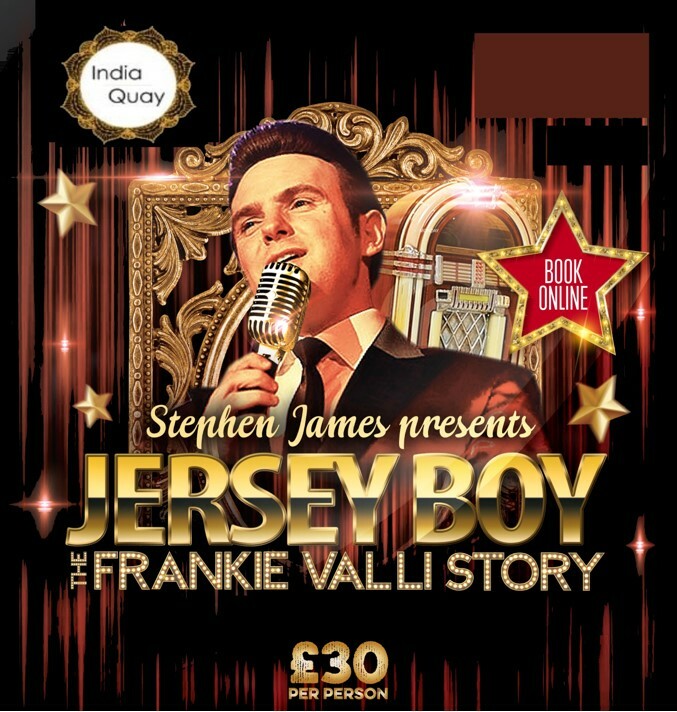 India Quay is proud to present Stephen James as Franki Valli covering all his greatest hits in a performance not to be missed. Performing in Port Solent in 2017 to a sell out crowd the forthcoming event is sure to be a great evening. Tickets are on sale now, first come first served basis, as tables are limited don’t delay book today! Oh What a Night..